Performance suspension specialists Accelerated Technologies have always taken a customer service first approach to offering suspension solutions, and in doing so they’ve been able to refine and develop settings for almost any buggy they can get their hands on. 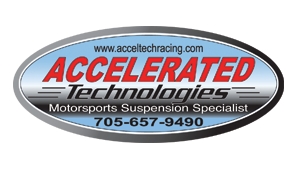 By standing behind their product long after your original purchase, being a customer of Accelerated Technologies is the equivalent of having your own personal suspension specialist that’s just a phone call away. We sat down with John Sharrard the original suspension guru of Accelerated Tech to chat about their company’s mentality and how it’s gotten them to be a suspension setup leader in nearly every powersports segment. John, what do you consider the company’s primary strengths? We hope it is customer service. We try to listen to our customers and offer them a solution that matches their budget to their expectations. What is the story behind the name “Accelerated Technologies”? When I was racing Grand Prix bikes, Supersport bikes and Superbikes, I needed a company name, and I thought that ‘Accelerated Technologies’ captured the spirit of the never-ending quest to both go faster, yet be safe along the way. 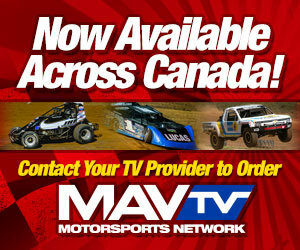 The demands of racing mandate a huge knowledge of what is going on with the bike, ATV or snowmobile at speed. The need to understand the technology of going faster… Accelerated Technologies! It just seemed to fit! What is your best selling or most popular product? We move a ton of Elka Shock Product. Their progressive spring packages, wrapped around industry leading technology give us a great tool to help our customers meet their expectations. We find many of our customers are disappointed after dropping 15 grand on a new Sled or ATV/UT, only to find it comes with very poor shocks. 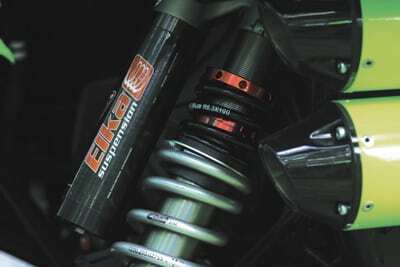 The Elka shocks help us make sure that new or ‘being refurbished’ sled, exceeds their dreams! Our technicians do many initial consultations with customers that are just underwhelmed with their vehicle’s performance. So, we start off with measuring static and rider-on sags, looking at the ride heights, and then the static balance of the machine, be it a sled, bike, ATV or UTV. We then put the customer in the vehicle and re-measure. After this process, we can recommend a simple service or adjustment, perhaps a spring change, or maybe even a full shock replacement. We try and offer them some options to balance their budget with their goals. What is the one service you wish ATV or SxS owners would pay more attention to? Setting the Sags!!! We have 120lb riders and 390lb riders on the same machine. Their enjoyment and safety would go way up if they were adjusted properly to support their weight. Also, we wish they greased them as often as they pressure washed them! LOL. I think what separates us is our attention to detail. 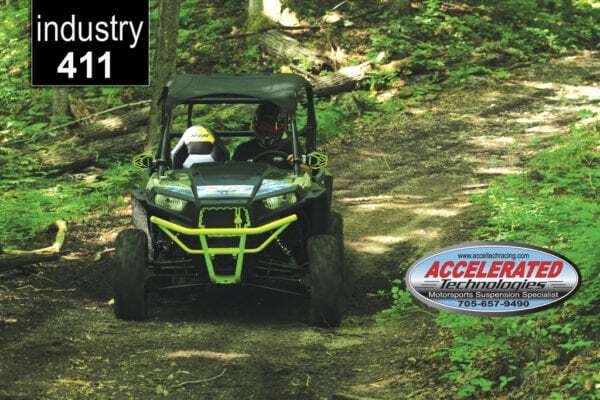 Suspension tuning and setting up a vehicle’s dynamic geometry involves a mix of hard facts and numbers like correct sag, preload and spring rates to get a sled, UTV, ATV or Motorcycle operating where the engineers want it, as well as the rider’s subjective requests. Not everyone wants razor sharp handling, some prefer a more casual comfort set up. So, we really need to listen to the customer and use our abilities and knowledge to give them what they want for the best satisfaction! I don’t imagine every other business takes that time with each customer to give them their best. How do you decide what products to develop or offer? Again, listening to our customers. We pay attention to what products really hit a home run in a certain demographic and then think, how do we replicate that success in other areas? We all work very hard for our money, so we want to earn our customers’ business with products that really put a smile on their faces. What does Accelerated Technologies offer that others can’t match? I think we are perhaps the best company in Canada for the ‘after sale’ set up of a powersports vehicle. New dealers are starting to think of us as an ally rather than a competitor. Many bike dealers will send brand new bikes here for set up or lowering for example, as they know when the customer leaves our shop, they will be getting the absolute most out of their bike, quad or sled. Tell us something about the company you wish more people knew. I guess it is that we are here doing what we do. Many people head to their dealer when they aren’t happy with the performance of their Sled, bike, quad or UTV, and most dealers really don’t have the time or staff expertise that our technicians have in dealing with suspension and set up, day in and day out. What is something you are sure to find the company fridge? Flavored Coffee cream LOL! We pull some long hours here, and the closest Tim’s is a half hour away!!! Where is the favorite place for Accelerated Tech employees to ride? The demands of life and business means that it needs to be close to the shop, so look for us between Buckhorn, Gooderham and Bancroft when not at work! First up is Growth. We have gotten so busy, we need to easily double our staff. Then, when they are trained, we want to focus on electronic interface. I would like to explore options where our riders can tune the UTV from the seat, easily, without stopping; not just damping, but spring force and balance, that would be cool!